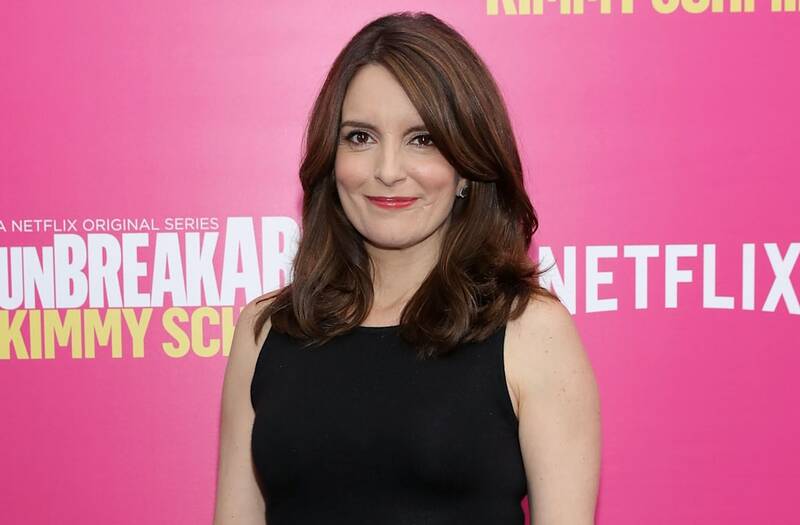 Tina Fey played a fictitious, highly-exaggerated parody of O.J. Simpson prosecutor Marcia Clark in the first season of Unbreakable Kimmy Schmidt, but in real life, the actress and producer is totally obsessed with Sarah Paulson's portrayal of Clark in The People v. O.J. Simpson: American Crime Story. "Thank God I did that before Sarah Paulson because Sarah Paulson is so good!" Fey gushed at the UKS Season 2 premiere on Wednesday night. "I'm obsessed with it!" WATCH: The 'Unbreakable Kimmy Schmidt' Season 2 Trailer Is Here and It's Crazier Than Ever! The actress and producer -- who will be appearing as a different character in the second season of her Netflix comedy -- told ET that she even changed her Emmy voting status so she could support the stars of the Ryan Murphy true crime series at this year's awards. "I literally called and I was like, 'I need to fill out my paperwork for the Emmys,'" she admitted. "I've always been in as a writer and I need to join the acting peer group so I can vote for Sterling [K. Brown] and John Travolta and Courtney [B. Vance]. I changed my status for them!" The first season of Unbreakable Kimmy Schmidt became a cult hit thanks to the hilarious talent of the cast, which includes The Office's Ellie Kemper, Broadway star Tituss Burgess, and 30 Rock alum Jane Krakowski. Fey said that the show's second season will be even more musical, in order to showcase her talented stars. "The sad thing is, Jane is such a great singer and we don't let her sing too much on it because her character is not a singer," she explained. "Obviously, Jeff Richmond, my husband, is one of the EPs on the show, and our writers keep going to him and being like 'Can we just put a song here, can Tituss improvise?' And I think it fits in the optimistic and joyful world of the show." Fey shared an update about the highly-anticipatedMean Girls musical, based on the hit 2004 comedy which she wrote and starred in. Fey plans to write the stage adaptation, while Richmond will compose the music. "We're getting back to work," she revealed. "We always have to take a break to do the show. So now that the show is up, we can get back to work." The Saturday Night Live alum also sent her well wishes to former SNL co-star Seth Meyers, who welcomed his first child with wife Alexi Ashe on Sunday. "Amy [Poehler] texted me, 'The baby came!'" she said. "I sent a present, but I haven't talked to him yet...I have a go-to present that's really boring. But somebody sent it to me when I had my first child...now I send it to everyone I know." WATCH: Seth Meyers Relives 'Fantastic' Arrival of His Son -- Find Out His Name!